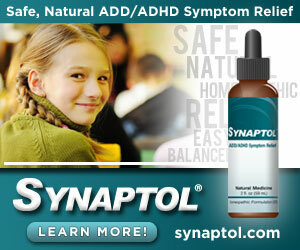 Natural Home Remedies for ADHD in Adults – Which Work Best? Here we explore a few natural home remedies for ADHD in adults. This condition has many quirks, one of which is that a remedy or solution which works for one person suffering from ADHD, has exactly the opposite on another person with the apparent same condition. Children suffering from ADHD quite rightly get lots of sympathy and support, and that is most certainly the way it should be. But unfortunately when they become adults things tend to change in the opposite direction. Dependent upon how severe your symptoms are it may be difficult to hold down a job. You may be extremely forgetful by nature, and dealing with those everyday adult duties such as bill paying or turning up to work on time can really put you to the test. Then there are those who have a quick temper. While your family, friends and those responsible for helping to treat you know full well this is borne out of sheer frustration at your condition, this is not always the case for others. You may well ‘blow up’ quickly at what would appear a trivial thing, but in general you calm down and forget about it quite quickly. Unfortunately this is not the case for those who may have taken the brunt of your outburst. We are NOT going to explain Diet, Exercise and Sufficient Sleep! We will consider just two natural home remedies for ADHD in adults which do not include the well-worn; diet, exercise and sufficient sleep information. Adults with ADHD probably know that three-part script back to front! For thousands of years the art of meditation has been used to help with a whole host of different mental woes, and works to calm the body and soul. Meditation techniques are very easy to learn, and could well do you the power of good. Interestingly there has been an actual study carried out between the effects of meditation on ADHD symptoms in adults and adolescents suffering with ADHD. In the tests the adults meditated for just 90 minutes each week. Afterwards 78% of them reported a reduction in certain symptoms. One improvement in particular was regarding their ability to focus. They also commented that they had fewer feelings of anxiety and depression. Basically this will be a regular meeting with a qualified coach. They will help you by offering practical and individual solutions to any problems that are concerning you. This sounds like an excellent way to get things off your chest, ask any questions you have, and discuss any problems or issues you are having with such things as paperwork or day to day life. An independent and helpful shoulder to lean on never did anyone any harm. Telling you to stay positive is far easier said than done, but if you can stay positive you will feel far more contented, and this really can help you to overcome any current and future difficulties, which in turn improves your lifestyle in a gradual uphill direction. Even just being thankful for the good things each day instead of focussing on what went wrong can help enormously here. Sure, there is a lot of ‘wacky’ stuff out there you can try. But of those that some people would see as ‘strange’, homeopathic remedies for ADD do have some good research behind them – and lots of very happy users too. These are certainly not the only options worth trying, there are many more. But if you’ve tried things that don’t work – do NOT give up hope. Keep trying new things and I sincerely hope you find the one that really works out for you too.